Wave Genetics: Pseudo- or Suppressed Science? Wave Genetics has shown that genetic traits can be changed, activated and disactivated by use of resonant waves, beamed at the DNA. The proponents of Wave Genetics have, through well-designed and implemented double-blind experiments, physically and clinically, repeatedly proven the ability of Wave Genetics technology to regrow vital internal organs, in vivo, without the requirement of difficult, dangerous and expensive surgical procedures. Applications of Wave Genetics technologies have uncovered the entire range of functionality of the DNA (including the functions of so-called "junk DNA) and the entire Genome. Wave Genetics makes the entirety of the DNA system available and directly controllable, for the direct benefit of all life, without the need for dangerous and antiquated "recombinant DNA" methods, and without the need for any "stem cell" culturing techniques. Additional applications which arise from Wave Genetics include a very reliable life extension technology, which could be easily applied to any living being, no surgical intervention required. 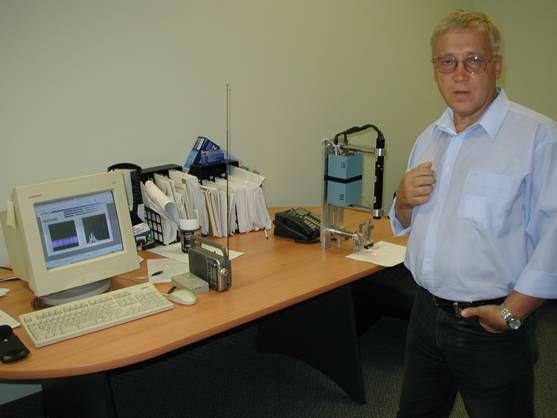 Wave Genetics has been researched principally in Russia, by a group of scientists around Dr. Peter Gariaev, the discoverer of the DNA phantom effect. That research has recently come to an abrupt halt, as a result of heavy handed intervention by some high level "skeptics" in the Russian Academy of Sciences. Skeptics are the watchdogs of orthodoxy. Those operating in the field of medicine call themselves quackbusters, but every scientific endeavor has their dedicated 'skeptics' who watch that no new paradigms should evolve and who attack anyone coming even close to changing the status quo in science. Perhaps it is no accident that the work of Gariaev and his team has come under attack, since Wave Genetics promises to make today's genetic engineering look like the Wright brothers' first flight, compared with a modern airliner. With huge sums of money invested by the likes of Monsanto and Genentech in today's comparatively very 'old hat' recombinant genetic modification technologies, it is no wonder that those developing the successor technology are being viciously attacked. A group internal to the Russian Academy of Science, called the "Group to Combat Pseudoscience in Russia" often goes well beyond the bounds of highly regarded bedrock scientific research principles, such as Popp's Criteria, particularly regarding recent empirical and powerful experimental results in genetics research. This group has long been known for attacking and suppressing any theoretical results which fall outside of the boundaries of of what is deemed to be "officially acceptable". Acceptable according to whom? Exxon? The Bilderberg group? Donald Duck? Or is it that whoever pays the leader of this "combating pseudoscience" group, Krugliakov, the most money, gets whatever ruling they want, from out of the group?? It is clear that Krugliakov has acted to revive a former soviet policy regarding Russian science called "Neolysenkoism", a policy which suppresses and attacks all "unacceptable" scientific results and theories, and attacks all "dissenting" scientific results and theories. And who defines what exactly is "Pseudoscience", and according to what exacting scientific criteria? Certainly it is clear that Popp's Criteria for accuracy in the sciences are not any part of the reasoning behind the efforts of this "Pseudoscience" group. In fact, the activities of this "Group to Combat Pseudoscience in Russia" should themselves properly be termed as "Pseudoscience", since they often act with no rational scientific basis, and make policy decisions with no scientific justification whatsoever. They should be required to justify and exactly prove their findings, just as any other scientific endeavor is expected to do. Science is a quest for the Truth, trying to discover the actual facts of the behaviors of Nature, so that we can use these facts in beneficial ways. Truth in Science is not based on the popularity of some theoretical belief, nor popular opinion. Science is not based on personal conveniences, personal advantages, or preferences. Either a thing is true or it is not. We don't get to vote on such things as to whether gravity will cause things which are dropped, to fall towards the center of the planet. We are in the position where it is our condition to try to understand the inner workings of how the Universe operates. Then, we should use our understandings to the advantage of All Life. We are not in any position to dictate terms to the Universe regarding what is or is not "acceptable behavior" on the part of the Universe, as according to some theory or belief or preference or another, such as relativity theory or string theory. The Universe is how it is and acts the way it acts. And it is up to us to understand the Universe, as it is. Not as it should be according to the preferences of some corporation with vested monetary interests or according to some political advantage or preference. The recent suppressive dismantling of a hugely promising set of physically proved results in Genetics Research, which meet Popp's Criteria, called "Wave Genetics", by Krugliakov and the "Group to Combat Pseudoscience in Russia", is certainly not due to any proper scientific method. This group's agenda is highly questionable, and is certainly not in the best interests of Science, nor are these suppressive behaviors in the best interests of Life and Humanity. Wave Genetics has, through well-designed and implemented, double-blind experiments, physically and clinically, repeatedly proven the ability of the Wave Genetics technology to re-grow vital internal organs, in vivo, without the requirement of expensive and difficult and dangerous surgical procedures. Applications of Wave Genetics technologies have uncovered the entirety of the DNA functionality (including the functions of so-called "junk DNA) and the entire of the Genome. Wave Genetics makes the entirety of DNA system available and directly controllable, for the direct benefit of All Life, without the need for dangerous and antiquated "recombinant DNA" methods, and without the need for any "stem cell" culturing techniques. There are vast numbers of additional applications which arise from Wave Genetics, in addition to regenerating various body parts without the requirement for invasive techniques, such as a very reliable life extension technology, which can be easily applied to any living being, with no surgical intervention required. For this technology to be at all looked down on, casts shame on the Russian Academy of Science, a body which is expected to be above and beyond all political movements and personal preferences, inspired to bring forth the best possible results to all of science and to all of Life. The problem of creation of the DNA-WAVE biocomputer is considered, in which one the storage locations on genetic molecules will be used. In the basis of tendered idea are trusted to experimental and theoretical activities of the writers, in which one a) to be demonstrated capacity of DNA to the laser, b) capacity of DNA to generate solitonic waves with memory, c) the phenomenon of transition of the localized photons in radio waves is revealed, d) the phenomenon of spectral storage of DNA by the localized photons is revealed, e) the transport phenomena of the genetic information in polarization modulations of an electromagnetic field is revealed at transition of a photon - radio wave. On the basis of these data the theory of wave genes is built, in which one the dualistic explanation of the genetic information as unity of material and wave encoding functions of the chromosomes is offered. The hypothesis quantum nonlocality of genome of higher organisms is offered. The set of the obtained outcomes allows the writers to suspect, that artificial DNA computing cannot be carried out to the full without the registration of listed properties of the genetic apparatus. Key pattern of the DNA-WAVE computer will be the phenomenon of DNA memory on solitons and on the localized photons with participation of quantum nonlocality of such memory. Andre Laszlo "all these ideas apply to pure DNA in the test tube..but in the cells all DNA is found in chromatin, which makes things an order of magnitude more complex..March 6 at 10:46pm ·you have to distinguish DNA as a polymer and DNA as the carrier of genetic information..all your proposals involve the unique polymer properties of DNA..."
The history of wave genetics has been developing for more than 80 years. In 20s and 30s of the last century Russian scientists, A G Gurwitsch and A A Lubishev postulated that not only does genetical apparatus of living organisms on the Earth operate at material, physical level but also at certain waves/fields level and is able to transfer genetic data/information via electromagnetic (EM) and acoustic waves. The science has recently taken a major leap in its advancements of the theory and reproducible experiments and thus the theory of wave genome has been put forward. One of the first attempts to rationalize and expound the wave genome theory in Russia had been made by P P Gariaev and A A Berezin from the department of Theoretical Matters of Russian Academy of Science, and also with participation of A A Vaciliev, a fellow member of Institute of Physics of Russian Academy of Science. As a theoretical foundation, principles of coherent physical radiations, holography and solitons, theory of physical vacuum, fractal representation of DNA and human verbal expression/speech have been employed to describe and substantiate the empirical results obtained through many experiments conducted. genome of the highest organisms is considered to be a bio-computer which forms the space-time grid framework of a bio-systems. It is also vital to note that the holographic grids/frameworks, which are also the elements of fluctuating structures of solitons, are, in fact, discrete simplest cases of code-originated information, anchored in chromosome continuum of an organism. all the functions of genetic control of an organism occupy approximately 2 % of DNA of a bio-system and fulfill designated functions such as replication of RNA and proteins, so called coding DNA of an organism. The other 98% is considered to be “junk DNA” not carrying out any genetical functions, which may represent a graveyard of virus DNA. The biologists and geneticists use the language of analogies and metaphors to explain how genetic apparatus operates. The genetic apparatus consisting of 46 chromosomes is viewed as a library consisting of 46 volumes or books. Each book (a chromosome), contains a text (instructions of how to build an organism) which consists of sentences (DNA) consisting of words (genes). And each word (a gene) consists of 4 letters (certain “chemical letters”), i.e. the “genetic alphabet” consists of only 4 “letters”. The material realizations of the DNA molecules are famous double helixes, consisting of segments which are genes. In essence, genetic apparatus operates as follows. The texts, written in the “DNA language”, are first translated by the organism into the “RNA language” and then into the “Protein language”. And proteins are the stuff that we are mostly made of (not counting water). Proteins perform two principle functions in the organism: they metabolize substances that we eat and participate in the morphogenesis, i.e. development of the spatial-temporal organization of an organism. It is to be pointed out that the primary focus of the wave genome theory is on the remaining aforementioned 98% of chromosomes as being the key “intellectual” structure of all cells of an organism including the brain. It is those chromosomes that operate on the wave, on the “ideal” (fine-field) level. Particular attention in the wave genome theory should be devoted to substantiating of the unity of fractal (replicating itself on varying scales) sequence structures of DNA and of a human speech. In 1990 Jeffrey Delrow discovered four “letters” of the genetic alphabet (Adenine, Guanine, Cytosine and Thymine) in DNA “texts” form fractal structures. Later on, a discovery of similar fractal structures in a human speech, not limited to multy-letter alphabets of Russian and English texts and including a sequence of words from those texts came as a promising surprise for both genetics and linguists. Nonetheless this is in accordance with a branch in semiotics named “Genetical Linguistics”, which studies incomprehensible and unexplainable precise application of laws of Formal Genetics to formation of interlingual and intro-lingual words-hybrids. Over decades, having been conducting extensive theoretical researches, we successfully managed to formulate theoretical biology and physics-mathematical description, explanation and substantiation of fundamental principles of genetic apparatus functioning on the wave/field level. These principles allowed us to design and create a quantum bio-computer essential element of which is a specially tuned laser beam with certain wavelength and frequency characteristics. b. Wave/field transmission of a signal that contains commands activating required programs in the stem cells of, for instance, rats; programs that direct/guide the stem cells development on their way of, as in our experiments, building pancreas gland in rats. These vectors/modes are intended to be used on humans. At present we are able to program/manage/encode stem cells of various types by means of a quantum bio-computer. The quantum bio-computer initiates wave/field-based commands, given to cells and tissues of the donor/recipient, and accordingly the stem cells exposed to the waves/field will be prompted to guided cytodifferentiation leading to emergence and development of planned/projected new organs and tissues. This will bring us closer to the fact of substantially increased life expectancy. Three series of experiments with identical protocol were conducted by the groups of P. Gariaev in 2000 in Moscow Russia, in 2001 in Toronto, Canada, and in 2005 in Nizhni Novgorod, Russia. These are more advanced experiments based on the principles and technology of WaveGenetics. The goal of the experiments was to test new technology for regenerating damaged pancreas. Pancreas is an endocrine gland which has several vital functions, the major one being production of insulin, a hormone responsible for sugar metabolism. A control group of rats was injected a lethal doses of a poison called alloxan which destroys pancreas. As a result, all the rats in the control group died from diabetes in 3-4 days. Then the same lethal dose of alloxan was injected to another group of rats. And when the rats reached the critical condition, they were exposed to light images/waves coming from a quantum bio-computer. Those light images/waves were created beforehand when the bio-computer read information from the pancreas surgically removed from healthy newborn rats of the same species as those used in the alloxan experiments. One can explain the results of the experiment using the following analogy. The pancreas gland contains DNA-movies with information about healthy condition of the pancreas in its genetic apparatus. And this video morphogenic information programmed the stem cells of sick rats to regenerate their pancreas gland. Combined statistics for all 3 series of experiments is as follows. Altogether, around 90% of all the rats had their pancreas gland restored and their health recovered. In some of the experiments the quantum bio-computer was modified to allow successful transmission of the healing information to sick rats at the distance of 20 kilometers. Note, that no known physical fields have the capability to transmit such extremely week signals with such unbelievably powerful results. Furthermore, the WaveGenetics research and application has significant prospects of solving issues as regards ageing process in humans and increase of life expectancy. This view is grounded on the experiments we have been conducting with rats. It is Opportunities of technologies of WaveGenetics are not limited to what has been outlined above. The development and application of the technology is far-reaching and is substantiated by experimental data obtained in numerous tests, experiments, observations. eliminating pathogenic viruses and bacteria and agricultural vermin parasites – also without used of any chemical substances. It may seem as a technology of another age, from distant future. However, a discovery of fundamental properties of living organisms is occurring today and it is our task to research and explain the phenomena and bring it to the service of humanity. Tertishnii G.G. and Gariaev P.P. In this paper a further development of previously propounded theory of external quantum management and self management of organisms 'in vitro - in vivo’ by means of bio-holographic information is presented. Some of the main works on the topic may be found on WaveGenetics official website - www.wavegenetics.jino-net.ru/. The present stage of the theory development related to further expanding on bio-symbolic polarization of a laser beam, that is – holographic projection. The process of holographic representation occurs upon scanning of (reading from) matrix genetic nanostructures-donors by a beam of specific bimodal laser. Bio-systems are, in addition, capable of self-scanning and self-correction (self-computing) using their own coherent waves/irradiation of the chromosome continuum in the wave range of 250-800 nanometers. We simply reproduce endogenous nanotechnologies ‘in vitro’. Under this self-scanning and self-correction (computing), irrespective of whether it be done on a living organism or rather artificially emulated, a pool of wide-spectrum wave information/data is generated, which the organisms utilize for their self-regulation or self-regeneration, whereas we take it for continuing targeted management of the metabolism in bio-systems. The theory is supported by mathematical-description/model of polarized-dynamics of selected variations in metabolism of bio-systems produced by the laser holographic projection “in vivo” and “in vitro”. Further, general mechanics of such dynamics of natural and artificial management in bio-systems are discussed, along with some features of the method and the equipment required for the practical experimenting. Empirical data gathered from the previous experiments is examined in the light of the theory and its application, and the correctness of our models of wave genetic functioning of bio-systems is demonstrated. The term ‘holography’ has its origins in two Greek words – “whole” and ‘image’. Until recently the essence of the holography was limited to the technical method of space 3-Dimentional projection and space-time (4-Dimentional) projection of an object. At present the meaning of holography cardinally expanded and is applied in relation to structures and functions of the cortex and genetical apparatus of living organisms. When we speak of genetic memory we mean that chromosome continuum, just as quantum bio-computer, operates with 4-Dimentional wave images of its own dynamic structures for strategic management of the metabolism. Dennis Gabor in 1948 and substantially advanced by our scientists. The method is based on interference with coherent eradiation of any origin. For instance, towards a photo-matrix, along with the “signal” wave dispersed by an object another “standard” of “base” wave is directed circumventing the object from the same source of light. The picture created by those two interfering waves, containing all information about the object, is reflected on the photosensitive surface of the photo-matrix. This is the hologram. By irradiating the hologram or its part by the “standard” or “base” wave, it is possible to observe the 3-Dimentional structure-picture of the whole object. Holography is broadly applied in physics and various areas of technology (recognition of images and of coding, for example), in acoustics (for discovery of internal defects in base metal structures, atomic stations, for example) and so on. Holography has a prospective future when applied in television and cinematography. This particular paper (as are some other papers – Ref 2-13, 21, 35-40 ) is in continuation of the research commenced by I.V. Prangishvili. The scientist enthusiastically supported then new (1997-2001) hypothesis as to holographic qualities of bio-systems and possibility of holographic management of the bio-systems. When we say ‘holographic management’ we mean altering of the metabolism and structure of cells as a result of controllable acoustic, light (photonic) or electromagnetic irradiation. Throughout our experiments on pancreas regeneration in rats (Ref 24.2) we conducted vibro-resistant transfer of polarized dynamic holographic information/data from the donor to the recipient. With sufficiently prolonged and targeted near-resonant exposition of the recipient a phenomenon had taken place - holographic management of the recipient’s condition by means of artificially transmitted holographic information/data, emanated from the tissues and cells of the donor. As a result of that exposition stem cells of the recipient receive informational/data impulse to commence differentiation towards post-embryonic morphogenesis with complete reconstruction of the previously destroyed pancreas in the rats under the experiment. It is, however, not know as yet which kind(s) of stem cells are involved in the process, the topic of future researches. During the experiments it was found that the main pool of bio-holographic information/data resides in polarized-dynamic modulated Euler angles. This fact can be explicated by that after partially being reflected and passing through of the laser flux via each single point of the tissues and cells of the donor, light cones of dispersed radiation are generated, in which orthogonal-circled polarization irradiated from the laser flux if converted in to space-cones distribution of it. A crucial progression occurs at this point – interaction between dispersed irradiation of the light cones together with the polarized “standard” “base” wave. The wave is synthesized by the sensor-concerted which can be associates of polarized and active cell nucleuses. During such an interaction space-dispersed polarized Newton quasi-rings emerge. Living cells – are always metabolically and polarized non-stationary environments/cultures. Nonetheless, light dispersed by such an environment gives Newton quasi-rings, in fact motionless in relation to one another ad in relation to the beginning of the coordinates selected in space in which the donor is present. This occurs due to the relational link between the donor’s points. Variable Euler angles are conditioned by microscopic amplitude vacillation of the donor’s points congruent to dynamic conditions of the cells of the living bio-system. These variable angles represent angles between straight lines which are tangent to mobile polarized quasi-rings and axes of coordinates within which donor’s points are examined. By the same token it appeared viable to transmit the information/data from the donor to the remote zone where the recipient was situated. By remote zone it is meant the distance considerably exceeding the laser flux wave length of the probing signal. To understand and implement this process a concept of cell nucleuses as being polarized quasi lenses had been propounded. Physics and the mode of operation of such lenses is that they are, as polaroids (поляроиды) and at the same time as a sources of coherent light (250-800nanometers) being present in the environment of cell’s cytoplasmic continuum, scanning their own and cytoplasmic modulations of polarization. In turn, this constitutes the crucial contribution to the synthesis of bio-holograms, the phenomenon which remains the least explained. These factors solve an issue of dynamic stability of polarized holograms, the feature which turned out to be vital when working with living organisms. With any micro motions of the laser flux in relation to the donor’s tissues/cells that are being scanned or any motion of the donor in relation to the laser flux (as a result of seismic mobility of the fundament upon which the laser is mounted or because of mobility of the donor), lengthways of the donor’s tissues/cells being scanned same relatively stable system of polarized Newton rings manifests itself. In other words, the emerged polarized bio-holographic images having been irradiated by the laser flux appear to be stable, clear and readily recognizable by the recipient’s bio-system as regulatory. (Fourier, family name; Jean Baptiste Joseph (1768-1830), French mathematician and physicist). Direct Fourier-transformation produces a system of Newton quasi-rings for every point of donor’s cells, whereas the reverse Fourier-transformation transforms these rings into duplicate point which are located in the remote zone on the recipient. As a result, the surplus is provided for by the following – when passing through cell nucleus-quasi-objectives (lenses), donor’s each cell structure is being transformed in to the aggregate of voluminous polarized cones of standing light wave of intensity. In case of partial erasure or vibrational dispersion of the Newton quasi-rings which correspond to certain point of the recipient, the remaining number of quasi-rings becomes essential and sufficient for the correct formation of the require (missing) point of the donor. These constitute the primary differences and advantages of the method and arrangement of holographic management of the cells’ state in bio-systems described in this paper. Due to the solutions outlined above we managed to achieve polarized-holographic transmission of the information/data without its geometrical and dimensional distortions. It is noted that in order to obtain a hologram it is possible to used incoherent radiation. However we used coherent light to provide for multiplicity of reverse links, which give a feature of being biologically active to the transmission of holographic-modulated information/data via light, electromagnetic and acoustic channels. Besides, in the “useful” signal outgoing from the donor a polarized hologram is transmitted after having been modulated by vibrating Newton quasi-rings. Modulation of the light beam by the bio-tissue of the donor is transmitted by square photo detector mounted inside the laser tube. Owing to this fact the modulation can be transformed into variable electromagnetic signal. It is of essence that modulating vibration of Newton quasi-rings (rings of intensity) reflects coded polarized-phase dynamic of every single micro fragment of the donor, for instance Liquid Crystal Chromosome. The micro dynamic vibration of these rings (and lines tangent toward them), in turn, also transfer the dynamics of the Euler angles. All this symbolic dynamics (holographic and «ключ замковая»?) resonance-influences on the bio-system-recipient, e.g. on the Liquid Crystal Chromosomes by programming them isomorphically to the donor. In this way, polarized-dynamic modulation of the light flux being represented by the Newton quasi-rings is transformed, while in motion, into electromagnetic signal, which modulates the carrying frequency-harmonic of the impulse generator, regulating the micro shifts of the laser resonator’s mirrors. The maximum modulation depth of the working signal is in the range of 0.5 MHz to 1.5 MHz, which can be easily attuned to by any middle-length wave radio receiver. Furthermore, it is to be mentioned that multiple auditions of that kind of audio signals have been found to be remarkably bio-active. This is relevant to any medium used to be recorder upon and, importantly, it is also irrelevant whether the donor is alive or not. More thorough reports on our observation to follow. * Disclaimer: This translation and English text editing have been done to the best knowledge and understanding of the translator who is not a specialist in the field although having a good understanding of Russian language and advanced level of English. The reader is encouraged to seek specialist opinion in any event. Extensive resources are used to understand the concepts in order for the translation to be s precise and accurate as possible. Where possible Russian abbreviations are to be preferred as they represent the most accurate references. An approach of translating the concepts, not the discrete words, has been employed in a belief that this is the most appropriate form of conveying a thought/concept from one language into another; of course a detour from this mode is taken where deemed necessary for the sake of clarity. Theoretical substantiation of the possibility of storing, recording and reading (scanning) of dynamic polarized holograms by using informational polymers. We previously carried out successfully a remote (tens of meters) laser-radio-wave transmission of morphogenetic signals from bio-donor (tissues and cells of a pancreas and spleen of newborn rats) to bio-recipient (rats sick of type 1 diabetes), which triggered regeneration of the pancreas in the body of the sick rats and their complete recovery (other control group of rats not having been treated, died) Ref 24. This phenomenon requires bio-theoretical and bio-physical explanation since the proof of possible existence of active genetic information in the form of electromagnetic field has principal significant bearing on the entire perception of life. It is know that the primary information polymers of cells – DNA and RNA, protein and many other metabolites contain asymmetric atoms of nitrogen, by virtue of which those metabolites possess optic activity and polarize light. It is also known that abiogenic nitrogen-containing polymers are, with highly diffractional efficacy, capable of recording dynamic polarized holograms. (Ref 14) It is, thus, appealing to examine the informational polymers – DNA, RNA and proteins as viable storages and substrata of polarized-bio-holographic information/data recordings considering the fact that DNA, RNA and proteins are also nitrogen-containing polymers. Possibly, because of this similarity DNA, RNA and proteins are able to absorb quanta of light with transitions between stable trans-isomer and cis-isomer conformations in polypeptide and polynucleotide chains. Particular interest is drawn to DNA molecule as a “custodian” of polarized-holographic genetic information/data. (Ref 25) and as an analog of abiogenic nitrogen-containing polymers. (Ref 14) The main contribution to the intricate network of energy levels of such polymer molecules in relatively slow processes ( ) is brought by their primary stable conformational states. For DNA this is A, B and Z forms of its conformers. Possible photo-isomerization of DNA, RNA and proteins occurring in bio-recipient’s cells when it is irradiated by the polarized-holographic image, can lead to alteration of the orientation of absorbing transition and also the cross-section of the absorbing chromophore and its hyper-polarization capability. In turn, photo-induced change in isomer concentration and their space orientation alter optical properties of the environment, in particular, diffraction index and absorption coefficient. It is assumed that the effectiveness of photo-isomerization transition is defined by the properties of the nitrogen-containing nucleotides sequences of particular DNA and RNA, amino-acid sequences of particular proteins and also isomers’ absorption cross-section, quantum exit of trans-cis-isomerization and influencing light’s parameters which is modulated by the indicated bio-polymers of the bio-donor’s cells. This new polarized state of the light wave, radiated from the bio-donor’s tissue and cells, controls the intensity and polarization of the informational polymers in the bio-recipient cells. Holographic information-laser converter was used to remotely transmit wave genetic signals and/or triggering wave structures. In that converter reciprocal orthogonal of the polarized modes of the probing laser flux provide for an increased probability of maximum alignment or congruence with the large DNA molecule axis and with orientation of DNA liquid crystal directions in the chromosome compound. Optical response of cis-isomer is taken to be isotropic. The compound of the polymer matrix, equally with nitrogen-containing composites, may also include non-photoactive neutral fragments contributing toward optical properties of the compound in question. The photo-induced DNA changes may result in to structural rebuild of the entire DNA polymer sequence. Caused by the light anisotropy of 3D nucleus distribution in DNA liquid crystal continuum (in chromosomes) will, most likely be long-lasting and therefore may be an important factor when the processes (which are responsible for the stable and long term storage of holographic information/data recorded in DNA liquid crystal topological-forms) are analysed. During the experimental transmission of holographic information/data obtained from the donor to the recipient following effect is observed: around every cell’s hologram of both participants in the near zone a layer of neighboring cell-holograms is settled exchanging holographic information/data with one another and with the central cell (Ref 20). Then each cell, aside from its own polarized-holographic structure and its dynamic properties, also contains holographic information/data about the nearest, neighboring cells. This is, in addition, the very reason of securing the excess and multi-duplication of holographic information/data in bio-systems. We have noted earlier (Gariaev, Maslova et all, 1996 (a); Gariaev, Maslova et all., 1996 (b)), that in the role of the main molecules perceiving external electromagnetic fields as a regulators – are the proteins and especially metal containing ones. Functioning of a set of biological macro-moleculs (ferments in particular) is largely determined by processes occurring in the active centres surrounded by bio-polimer sequences having a sign topology. Based on this perception of informational bio-macro moleculs, it is normal to suppose that their interaction with physical fields external in relation to the biosystem and internal radiations leads to excitation dipolar-active fluctuations of monomers, forming the said chain, and they in turn induce fluctuation if the active centre. In other words, such a system will work as a peculiar antenna. There excited fluctuations can lead to transitioning of bio-macro-molecule in to toher conforming (topological, sign) state. Other types of polymers, corresponding to antenna model, can be relatively simple cycles such as valinomycine (potassium ions’ carrier) and complex over-molecular chromosom structures, DNA of which contains higly organized associates of such metals as magnesium, calcium, nickel, cobalt, copper, ferrum, zink and so on. Their role is not clear and is considered to neutralize OH-groups of remnants of phosphoric acid of polynucleotide. It is proposed that functions of metals in DNA and RNA is substantially wider and is realized along the lines of sign and/or energy interchangewith endo – and exogenous, in relation to the biosystem, physical fields. The same is applicable to the proteinsnot containing porfirine centre yet specifically binding metals, e.g. as such you can considersite-specific proteins with domens like “zink fingers” which participate in regulation genes, often located long awayfrom these governing proteins. Atoms of metals in DNA and proteins can in resonance interact via electromagnetic channels within the meaning of antenna model. Let defined the definition of antenna model. External energy (in particular, connected with resonance interaction extremely high frequency electromagnetic radiation with proteins) travels to the periphery, that is onto ensemble of sub-units (not necessarily identical in structures). As a result of an active “conversation” predetermined by bio-chemical links between peripheral acceptor (received encoded energy) and centre-associate (in this case and ion of irongem-containing proteins), the latter receives energy (information) which effects the biological action. The degree of reactive ability of bio-macromoleculs is considerably dependent on the level of excitation of central sub-units. Lets look closely in to potential mechanisms of wave interactions of physical fields and active centres of informational bio-moleculs within the boundries of the proposed antenna model. As an example of the simliest model for illustrating antenna effect we consider 2-dimentional closed (cyclic) chain of monomers. There is anactive centre, connected to monomers of chain by dipole-dipole interaction. Mario Salerno was the first to experiment with solitons on DNA on computer not only as formal mathematical structures but also tried to link their behavior in a mono-dimensional space of poli-nucleotides with their bio-genetic, or more accurately with their epi-genetic functions. He had been developing the first soliton model on DNA proposed by Englander and et al. This model and its more detailed variations including ours (see further below) is represented in term of mechanical systems as a chain of oscillators (DNA base) linked by resilient non-linear sugar-phosphate connections. Following Salerno we have paid particular attention to objectively existing known DNA sequences and thei effects onto solitons behaviour. C (or S ) area of DNA (1 1020 nucleotide) on 3’-end of virus of bird sarcoma contains several “semantically” certain areas such as polypeptide-coding area (between 558 and 675 nucleotides); PolA (936) 3’-end of virus RNA, poly-adeniling site; 916 nucleotide - 5’-end of virus RNA (“capping site”); Red-sector - () – short end replica of the virus genome; Pro – possible component of observing the transcription (between 870-9000); palindrome – “pin” (870 912) . 2. Quantum teleportation of genetic-metabolic information/data in permissive version. When scanning bio-samples or some other substances with the laser light, in essence a biologically active spectroscopy is performed of a distinct kind. We propounded a tentative explanation of this phenomenon [Gariaev. Tertishnii, Gotovskii, 1997], which is primary substantiation of the new king of spectroscopy - called polarized laser-radio-wave spectroscopy (PLRS) [Prangishvili, Gariaev at al., 2000 (b)]. Such spectroscopy is designed to research and examine unknown spin-fluctuating quantum-molecular characteristics of bio-systems, bio-tissues, hard, liquid and gas substances, and also plasma conditions/states. The type of PLRS that we describe here takes a narrow optical diapason – red light, yet it is planned in the future that modification from UV to IR diapason be available. Level 6 – quantum non-locality of genome. Up to the level 6 genetic information/data non-locality is realized in space of the organism and also in socium. Level 6 has a special character and new quality. It is expressed in one of the forms of quantum non-locality, namely – pemissive, postulated in this paper. In that case non-locality is instantly realized across the space of the bio-system as much as on its own, “compressed” until zeroed - time. Instantaneously distributed in this manner genome-wave programs, isomorphic materially, perform in the organism “here and there at the same time’, therefore it is meaningless to use the semantic structure “now and then”. This is a strategic factor, incredibly vital evolutionary achievement for multi-cell bio-systems. Billions of cells of the organism ought to “know” one another and about one another if not everything than at least a lot and instantly. Without phenomena of “wave informational instantaneity” gigantic multi-cell continuum if the highest bio-systems is not capable of holistically coordinate metabolism, its own physiological and other functions. Intercellular diffusion of signaling substances and nervous processes are overly slow, inert for these purposes. Even if we suppose that symbolic electromagnetic field as quick as speed of light (which is sensible supposition) take part in intercellular exchange, then this is not sufficient either. It must possess a mechanism of quantum non-locality and it can be applied to genetic apparatus, which may perform as an instantly distributed quantum (wave) object, isomorphic to material chromosomes. Additional theoretical approaches here, possibly, lie in effects of so called “weak ifluence” [Chukova, 2002]. Apparently regenerative and cytoprotective effects in our experiments bear endoergic character where even weakly absorbed energy of coherent red polarized laser light by the bio-preparations goes in to escalation of Helmholtz free energy accumulated in chemical relations of metabolites of bio-preparations, which leads to significant bio-effects. Atoms of informational molecules (DNA, RNA, proteins), interacting with the laser beam together with the energy of the light quanta also obtain their momentum quantity motion, which creates inversed overpopulation in nuclear zeeman levels, that is – chemical polarization of nucleuses occur. Quantum polarization exit, that is a number of excess kernel spins on the top Zeeman level correlated to the every absorbed quantum of light, can be 30%. Inversely populated protonic-spin system can issue quanta with 6,5∙10-26 Jouls of energy which correspond to frequencies of about 10Mhz [Buchachenko, 1979]. Further advancing the aforesaid, one could consider that when bio-preparations are scanned by the laser beam there appears combinative frequencies, occupying blue and UV diapason. Moreover as we previously suggested in an appropriate model of localized light, there is transformation of frequencies in diapason from 2 omega to zero takes place. [Prangishvili, Gariaev et al, 2000 (b)]. Besides when scanning the bio-preparations there is a presence of wideband radio radiation of the gas discharge laser. Taking this into account, we believe that in our experiments bio-preparations-donors are scanned (“read” by the laser) by way of multiplicity of frequencies. Metabolising chemical compounds of bio-preparations, which interact with dynamically polarized red light of the probing laser (and wide spectrum of additional radiation), can generate electromagnetic radiofrequency oscillations. In this instances the bio-samples of pancreas and spleen “assume” a role of idiomatic organ-molecular radio stations where every type of their molecules possess characteristic frequencies that can be reinforced owing to stochastic resonances. This is new phenomenon – radio emission of a chemical reaction – it was predicted in theory and then discovered empirically. It emerges when Zeeman’s cavity/reservoir energy exceeds the generation threshold; the motion of the nuclear spins spontaneously becomes coherent and such coherent system of nucleuses then becomes a quantum generator emittiin in microwave diapason/spectrum. Yet this is only one aspect of chemical radio physics. Chemical reaction can be not only a generator but a receiver of the microwaves. Reception at chemical level follows from principles of spin chemistry: resonant microwave radiation stimulates triplet-singlet conversion of radical couples (or couples of other spin carriers) and alters exit of chemical products. In this way magnetic-spin phenomena make biochemical reaction a receiver of microwave irradiation/emission. Moreover such receiving can be selective. If the microwave pumping touches upon all radical couples (biochemical substratum) then total result boils down to changing the reaction product exit at resonance frequencies. This phenomenon is called reaction yield detected magnetic resonance (RYDMR). Owing to high corpulence (? )~1014 of all electron-vibron fluctuation systems, they possess high sensitivity estimated in terms of Planck's quantum piece energy for one element of coherent fluctuating chain which can be a DNA spiral or cellular membrane. In opend states DNA spirals, initiated by thermal motion in a living cell, electron-vibron fluctuations exist in the form of solitonic (helicoids, spiral, vortical) motions of atoms in the chain. These are so called Salerno-Maslovs solitons and these are capable of readinginformation from DNA-RNA “text” sequences. Emission/radiation by such “informational” solitons is generated by electron-vibron DNA and RNA fluctuations. Herewith scanned/read information from genetic molecules can be transmitted to other cells (and beyond the bio-system) in a relay mode employing mechanism of dissipation with LEW’s frequency alterations irradiated in to the area of radio frequencies and acoustic fluctuations. Along with this, informational radio emission of electron-vibron oscillations in the form of LEW at certain frequencies, in principle, can govern/operate biochemical processes. And the other way around, biochemical reactions in preparations being probed by the polarized laser light can generate electromagnetic radiofrequency oscillations. Gariaev P.P., Kokaya A.A., Leonova-Gariaeva E A., Muldashev E.R., Mikhina I.V., Smelov M.V., Tertishnii G.G., Tovmash A.V., Chalkin S.F., Shatrov Y.K., Yagujinski L.S. * Disclaimer: This translation and English text editing have been done to the best knowledge and understanding of the translator who is not a specialist in the field although having a good understanding of Russian language and advanced level of English complemented with rather good understanding of basic physics and biology. The reader is encouraged to seek specialist opinion in any event. Extensive resources are used to understand the concepts in order for the translation to be s precise and accurate as possible. Where possible Russian abbreviations are to be preferred as they represent the most accurate references. An approach of translating the concepts, not the discrete words, has been employed in a belief that this is the most appropriate form of conveying a thought and/or concept from one language into another; of course a detour from this mode is taken where deemed necessary for the sake of clarity. All authors have equally contributed to the research in this paper. Many researchers have pointed out in their works to the dangers posed by geptil pollution to the environment and that it adversely and detrimentally affects health of livings organisms [http://www.seu.ru/conference/ecoprvo/geptil.htm]. In this present paper a possibility of principled approach to the development of technology is demonstrated, which allows bio-systems to trigger resistance mechanisms to protect the organism from the toxic impact of geptil substance by mean of electromagnetic fields/waves. Theoretical foundations for conducting this kind of research are illustrated on the following website http://www.wavegenetics.jino-net.ru/. Prior to commencing this research/investigation in this direction, we had organised a series of initial model experiments with alloxan. Alloxan is a cytotoxic substance with a dominant detrimental effect on β-cells of pancreas resulting in to Type 1 diabetes. The earlier experimental works [Gariaev P.P., Kokaya A.A.] have suggested that modulated by pancreas and spleen – modulated wideband electromagnetic radiation (MWER) generated by helium-neon laser influences upon progression of the experimental diabetes in rats. Diabetes is provoked by intro-peritoneal/abdominal injection of alloxan in a dose of 200mg/kg of the mass of the animal. Irradiating rats with such a frequency resulted in prolonged life expectancy of the animals in the test groups when compared to the control group, leading to normalisation of blood glucose level and, crucially, facilitated pancreas tissue regeneration process. As a donor/bio-structure tissue, probed by the laser beam in the present system, following can be used: living and/or quasi-living organisms, for instance, bacteria, viruses and also living through tissues and organs, metabolites and abiogenic substances. To obtain WER modulated by the bio-structures/samples we utilized developed earlier biotechnology with use of helium-neon laser [Gariaev P.P., Tertishni G.G. 1999]. Helium-Neon laser of 2 MW with 632.8 nm of the wavelength possesses two superposed, orthogonal linear polarized modes of emission, single-frequency in each of them. Laser ray probes/scans DNA samples/bio-structures - newly retrieved tissues of pancreas and spleen of a newborn rat Wistar strain. Semitransparent tissues were deposited onto a a lab glass and then covered that by a second lab glass and this “sandwiched” object was fixed in front of the optical axis of the laser. Adjustment of the glasses with the tissues had been done so as to provide partial reflection of the modulated (by the tissues) laser beam back in to the laser resonator. In this way we ensured a multiple passages of the laser beam through the tissues and the tissues be an optical correlator [Mazur, Grachev, 1985] and therefore affect redistribution of the secondary modes of the laser emissions. Optical signals were registered and transmitted to an electronic circuit, which governs laser’s generation regimes; frequency stabilization of the coherent radiation is also performed at this stage. In this mode the laser generates, apart from the red light, WER modulated by the tissues – that is – the MWER itself. Distance from the target to the active element of the laser is 11cm. Group 1 control (n=20) – no WER irradiation; Group 2 (n=20) and Group 3 (n=20) – were subject to preliminary irradiation of WER; Group 4 (n=10) – placebo, where WER was not modulated by DNA samples and the laser ray passed through empty lab glasses without the tissues. Group 2 rats were placed 20 meters from the source of MWER in the lower ground level of the lab. Alloxan diabetes was provoked one month later from the day of the last irradiation by MWER. Group 3 and Group 4 were placed 70 cm from the source of MWER. Alloxan diabetes in these groups was triggered one day after the last irradiation by MWER. Irradiation by MWER of Group 2 and Group 3 was being performed daily for 30 minutes during 4 days scheduled as follows: 10 minutes irradiation by MWER (modulated by samples of pancreas), 10 min irradiation by MWER (modulated by samples of spleen) and 10 minutes irradiation by MWER (modulated by samples of pancreas). Group 4 – placebo – was being irradiated by WER – not modulated by any samples the laser beam though passing through the empty lab glasses – for 30 minutes daily during 4 days. Group 1 – control - was not subject to the irradiation by WER nor was it by MWER. During the experiment we assessed general health condition of the experimental animals, recorded the death date for the animals from the moment of alloxan injection, in all observed groups. The animals of Group 2 and Group 3 were observed for 1.5 months from the day of alloxan injection. In 8 animals from Group 2 and 3 were recorded with the reproductive function still active when the blood glucose level reached its peak value. (3 rats from Group 2 and 5 rats from Group 3). Measurements of the blood glucose level were performed by glucometer Ascensia Entrust made by Bayer. Measurement range of the glucose level spreads from 2.0 mmol/l up to 30.6 mmol/l. Measurements of glucose level higher than 30.6 mmol/l were marked as HI. Group 2 and 3 on the day 8 from the alloxan injection, and also on the 42 day of the experiment after assessing reproductive function in male animals. For histological analysis purposes the tissue had been fixed in 10% neutral formalin, dehydrated in spirits of increasing concentration and then sealed them in paraffin wax. Paraffin sections of 5-7 micro kilometers thin were obtained on microtome Leica SM 2000R, were colored in hematocsilin-eosin and then analysed by microscope Leica DMLS. Video footage was obtained by using CCD-cameras. Statistical survey of the experiment’s results were conducted by means of using statistical software suits “Stastica 6.0”, MS-Exel” for Windows. Degree of accuracy (p) was determined using Student criterion, employing confidential coefficient and a digit of degree of freedom (1) in accordance with table. Calculations of all mathematical values had been performed in compliance with commonly known formulas on a PC. Research in this series of experiments revealed that application of the said dose of alloxan in control and placebo groups developed diabetes complicated by toxic damage of live-crucial organs and systems. This led to low survival rate of the animals in within the groups. On the contrary, in Group 2 and 3 we observed resistance/increased immunity in the animals to the detrimental/destructive effects of alloxan expressed in various degrees. ^ - in Group 4 by the 3rd and 4th day of observance there was one survived rat. All animals were injected alloxan – 200mg/kg of an animal mass. Group 1 (control) was not subject to WER or MWER. Group 2 – MWER was conducted; the animals were places 20 meters from the source of emission. Induction of alloxan diabetes was effected one month later after the last radiation by MWER. Group 3 – MWER was conducted, animals were located 70 cm from the source. Induction of alloxan diabetes was done one day after the last radiation by MWER. Group 4 – placebo – was irradiated by WER – not modulated by DNA samples (that is to say that the laser beam was passing through the empty lab glasses). The animals were placed 70 cm from the source of the emission. Alloxan diabetes was induced a day after the treatment. Glucose level in Group 2 by the 4th day is (p<0.05) different from the initial level. (Table 1). By the 7th day in Group 3 survival rate decreased to 75% (out of 20 animals with hyperglycemia 5 animals died) and remained at the same level up to the end of observation term (1.5 months Fig.1). By the 8th day euthanasia had been conducted to 6 animals from Group 2 and tissues were extracted for patho-morphological analysis. The other 9 animals were observed for a period of 1.5 months. It is important to note that from the day 8 up to 15th animals with hyperglycemia a reduction in glucose level was observed (Fig. 2). However by the 18th day 4 animals of Group 2 regained the hyperglycemia (more than 30,6 mmol/l) which remained during the entire observation period. The overall health condition of these 4 animals were assessed as satisfactory. Similar results were present during our previous experiments [Gariaev, Kokaya et al, 2007]. The other 5 animals maintained normal level of glucose. Reproductive functions were noted in 3 animals of Group 2 with hyperglycemia (glucose level over 30.6 mmol/l). These animals gave birth to healthy multiple posterity. After 1.5 months tissues were extracted for the analysis. Fig.2 Effects of preventive/preliminary irradiation by MWER on progression of alloxan induced diabetes in Group 2. Alloxan was injected at 200mg/kg dose one month after the preventive irradiation by [MWER] modulated wideband electromagnetic radiation/field. The irradiation was being performed for 4 days, 30 minutes in each day. Distance from the radiation source – 20 meters. The irradiation schedule: 10 min irradiation time using tissues of the pancreas, then 10 minutes of the spleen tissues, and for 10 minutes – pancreas tissues. The beginning is the day of the alloxan injection. The most manifested effects were observed in Group 3 located at 70 cm distance from the source of the modulated waves. Alloxan diabetes modeling was performed one day after the irradiation by MWER ended (Fig.1,3, Table 1). Every animal in the Group survived. We observed 100% survival rate during the entire period. It is clear that 90% of animals retained their normal physiological glucose level during the 1.5 month of observation, which is clearly different (p<0.05) from the control Group, Group 4 and Group 2. However 2 animals from Group 3 by the day 6 of the experiment had excessive glucose level increase of 20 mmol/l with subsequent reduction to the normal level. On the 8th day of the experiment6 animals were performed euthanasia for a patho-morphological analysis. Reproductive function could be detected in 5 animals of Group 3. All the animals gave birth to a healthy posterity. 1.5 months later tissues from 6 animals from the same Group were taken for the analysis. Glucose level was at normal levels. Health condition of all the animals of Group 3 was satisfactory. Fig.3 Effects of preventive/preliminary irradiation by MWER on progression of alloxan induced diabetes in Group 3. Alloxan was injected at 200mg/kg dose one day after the preventive irradiation by [MWER] modulated wideband electromagnetic radiation/field. The irradiation was being performed for 4 days, 30 minutes in each day. Distance from the radiation source – 70 centimeters. The irradiation schedule: 10 min irradiation time using tissues of the pancreas, then 10 minutes of the spleen tissues, and for 10 minutes – pancreas tissues. The beginning is the day of the alloxan injection. After histological analysis of the pancreas tissues in Groups 1,2 and 3 a number of distinctive features have been observed (Fig.4). Histological picture of the pancreas tissues from animals of control Group was cjaracterised as having clearly visible degenerative alterations of Langer Islands (Fig.4b). The number and size of the islands are reduced, they are of unusual and irregular form. Quantity of β-cells is sharply reduced and in most of them cytoplasmic vacuolation was observed, the nucleus size decrease, chromatin condensation and cariopicnose in some of the cells. Gathering of lymphocyte infiltrate had been revealed around and inside of the islands. In Group 2 by the 8th day histological situation if pancreas tissues could be described as having damaging processes of various degree: the islands were reduced in size, of irregular form, β-cells reduction, the total portion of insulin apparatus in the islands was significantly reduced. Only a relatively small part of the islands apparatus maintained rather preserved (intact ) structure (Fig. 4с). Situation in Group 3 by the 8th day after modeling alloxan diabetes was considerably different from the control Group and Group 2. Along with the pathological processes in the tissues of pancreas in question, there was also observed a large quantity of islands, large as well as medium and small sizes with lightened cytoplasm, of normal spherical form, large roun nucleuses containing the core (Fig.4e). As opposed to Group 2 and control Group, Group 3 after 1.5 months had hypertrophy and hyperplasia of the pancreas. Numerous islands of varying size and normal spherical form were noted (Fig.4f). Attention was attracted by the large number of small islands and discreete agglomeration of β-cells, where as large islands contained increased number of β-cells which in turn were located in a close proximity to one another. The structure if the islands and β-cells were not altered, the kernels in the cells were large; round, in which it was possible to locate nucleuses. It can be stated that a positive effect was reached by using MWER in Groups 2 and 3. Differences in the dynamics of glucose level and survival rates of the animals in these two groups point to an interconnectedness between the length of the irradiation by MWER and modeling the alloxan diabetes. Biological long range defensive effects when irradiating with MEWR which were discovered in our previous experiments [Gariaev, Kokaya et al, 2007] has been confirmed in this series of experiments – this research. The effects is manifested in the glucose level dynamics in Group 2 animals and also in the very fact of the animals surviving in this group, when compared with control Group and placebo Group. In spite of the reliable data (p<0.05) suggesting increase in glucose level in the animals of Group 2 compared to the initial state, and an absence of any reliable differences in the glucose level data obtained from Groups 1 and 2 by the 2nd, 3rd and 4th day of the alloxan injection, survival rate in the Group 2 was high. Evidential hyperglycemia in 20% of the animals in this group did not result in to their death but were remaining I a satisfactory health condition for the entire period of the observation. Firstly – the factor of survival with contemporaneous and obvious hyperglycemia within prolonged period of observation with preserved reproductive functions in the animals. Secondly – it was revealed in the previous experiments, and confirmed in the present one that MWER is facilitating pancreas regeneration in the ill animals in situ. Thirdly – preliminary irradiation by MWER on the animals facilitates development of resistance to alloxan effects. The recorder effects are related to the fundamental issues of “recording” and transmission of electromagnetic component of genetic information during the post-embryonic growth with wave (frequency) processes taking part in genome and organism as a whole. MWER, parametrically linked with photons (which in turn were modulated by the tissues), appears to be a carrier and transmitter of the information from the bio-donors to the bio-system (bio-organism which precisely and specifically receives this information as strategically superior (that is of higher topology? Of the sort that can manage and govern processes in the recipients organism ) ). Most likely, MWER – performs a function of a frequesncy (wave) trigger, which initiates “awaiting” (stand by) regenerative morphogenetic processes, of which the information is contained in genome of every cell. Quantum mechanisms of MWER effects on embryonic and post-embryonic processes remain to be discovered, thoughsome ideas were expressed in our earlier works. [Garyaev, 1994; Gariaev, 1997; Prangishvili, Gariaev and et al, 2000 (b); Gariaev et al, 2001; Gariaev, 2003] and are being further advances at present. The defensive and cyto-protective action of MWER are promising field of research with rather sound perspectives. It may be that a specific role in the discovered defensive-protective manifestations plays a so called factor of “weak influence” [Chukova, 2002]. In this regard it can be put forward that the discovered effects bear endoergic character where even weakly absorbed energy of coherent polarized laser beam results in the increase of free Gelmgolc energy which is accumulated in chemical links of tissue metabolites in pancreas and spleen. For instance, atoms of informational macro-molecules (DNA, RNA and proteins), while absorbing light, together with the energy had by a quantum of light they gain the same momentum of quantity of motion, which creates inversed population of nuclear zeeman levels (see Zeeman effect ). Occurs so called chemical polarization of the nucleuses. In this manner, biochemical reactions in preparation (tissues) initiated by the polarized laser light are able to generate electromagnetic radio frequencies (fluctuations). In this situation the preparations (tissues) of the pancreas and the spleen assume a role of specific molecular radio station where every type of molecules has its own frequency (vibration level ) which can be amplified due to stochastic resonance produced by the wideband radiofrequency gas discharge laser. Based on the obtained experimental data it is proposed to attempt to create a technology allowing development of resistance to toxic effects of Geptil/ hydrazine in animals. We suppose that the resistance to Geptil/ hydrazine and to many other toxic substances can be developed by influencing strategic metabolic vectors most vital of which are – functions of genetic apparatus at quantum level http://www.wavegenetics.jino-net.ru/. DISCUSSION OF THE EXPERIMENTAL RESULTS. The obtained data has wider implications than demonstration of capabilities of possible wave defensive antidote-effect and require theoretical consideration since they relate to strategic (quantum) mechanisms of genetic apparatus functioning of multicell bio-systems. At his stage we propose three formalized hypotheses of the wave processes while “reading or scanning” from bio-structures of donor genetic-metabolic wave information (data), remote addressed transmission of it, introduction of the information in to the bio-system-acceptor and metabolism management using that information. Wave informational scenarios – unfolding in the bio-system itself as well as during scanning by the laser beam at the initial phase – occur at photon level. Let’s consider that level in more details. In our previous researches we presented two- and three-dimensional models of bio-holographic management of building spatial structure of multicell organisms during embryogenesis.At the initial view subject to relatively stationary conditions in bio-systems (final phases of morphogenesis), these models are plausible. However, in living organisms statics and dynamics are paradoxically intertwined. An adult organism is relatively static spatially on macro scales and significantly changes on this plane only at the stages of deep aging. Along with this that statics are provided for by the internal space-time dynamics of metabolic processes on micro levels of bio-systems organization. This is a case due to the fact that metabolic processes are a mobile aggregate of bio-chemical-bio-physical space-time reformations of the organism’s microstructures. Having considered the non stationary structures of bio-systems, more advanced model is proposed of endogenous informational polarized-holographic managing (governing) processes in multicell organisms, which are realized/effected at genome levels. The model reflects bio-holographic aspect of metabolism as a whole and therefore includes bio-morphogenesis as it specific case. The model utilizes appropriate physics-mathematical formalism for the polarized-holography yet extrapolates it onto probable endogenic analogical processes in the genetic apparatus of multicell organisms. As a foundation for the model we used our experimental data where we employer special double-polarized He-Ne laser ( = 632,8 nano мeter), having two orthogonal, linked optical modes, of which we have mentioned earlier. When such laser beam of this quantum generator interacts with the bio-tissues, with dynamic holographying on the oncoming beam (bunch) mode on, simultenious acts of recording and scanning of previously unknown information occur, the information about dynamic spinning-fluctuating processes on optical and atomic-molecular levels. Of particular interest can be data obtained about genetic structures and/or living cells. The entire informational structures of an organism, including DNA, RNA and proteins, are optically active, that is to say they are capable of spinning light polarization planes and they are dichroic – difference between absorption of right- and left hand polarized light. Modulations of polarization that correlate with structural-functional condition of any metabolite, present themselves as unique in their capacity storage of information about metabolism and its dynamics and along with it – that is a channel of intercellular photonic bio-symbolic contacts. Such special processes, in their polarized-holographic version, are apparently inherent to genome workings as a bio-computer. This allows their modeling with use of the aforementioned laser. IT is capable of polarized-holographic recording, scanning, remote transmission and “injection” of wave commanding genetic-metabolic information from one bio-system to another. Besides, such laser performs a conversion of photons probing the bio-system in to wideband electromagnetic spectrum with frequencies from 2 to 0 according to mechanisms of localizing and delocalizing of photons. During this stage, it is apparent, quantum non-local (teleportation) polarized connection across the whole spectrum of frequencies is retained (maintained, saved), including radio waves. Utilization of such laser as reading-transmitting photon-radio-wave system, imitating analogical wave-bio-computer-symbolic non local processes intercellular communications provided with opportunity to carry out remote wave transmission of primary /managing genetic-metabolic information from donor’s bio-system to recipient’s bio-systems (so called addressed transmission ). In the light of this fact it seems rational and vital to attempt presentation of more advanced formalism of bio-symbolic photon-polarized-holographic processes in chromosome apparatus of higher bio-systems, all the more so that the radiowave equivalent of these processes possessed strikingly distinct morphogenetic potencies. For the purpose of simplification we will consider that non stationary LCCC is not a function of frequency of translucent light. Both polarisational modes of coheren laser light are depolarized by geno-symbolic acoustic LCCC and are partially elliptically polarized. With this, they can interfere forming specl-structures, and their total intensity is transferred from one mode in to another by means of earlier postulate manner [Prangishvili, Gariaev et al, 2000 (b)]. Endogenous biological registration of the summary wave field (5) pertaining to LCCC as a basic element of DNA-wave bio-computer, assumes presence of polarization-sensitive environment in organisms, which is not selective of any particular spectrum across the whole range of active frequencies (similar to the non stationary fragment of biological object, for instance LCCC). - distance between the point on the hologram surface and the point of observation. It follows that regeneration is performed by a wave identical to the one used while recording by the carrying wave. So, as apparently, in bio-systems at LCCC level recording and reconstruction ensue ither simulteniusly or in accordance with the last equation, then the reconstructed imaginary depiction corresponds to the real one and it is not subject to any distortions. The latter is principallycrucial for preservation of the wave images-vectors of morphogenesis, which compensate physiologic-bio-chemical and mechanical non-stationary stae of the bio-system as a whole and its LCCC in particular. Nonetheless, non-stability of strategic photonic-images of organism’s structures will occur though in term of long lengths of time while aging and its pathological states, for instance in the case of cancerogenesis. An analysis of the last correlation shows that with precision up to its multiplier it contains complete reconstruction of space-time structure as well as polarization characteristics of the field of its non- stationary object wave that have passed through, for instance, LCCC. These photo or/and radio wave dynamic structures are, apparently, used by multicellular organisms for their own organization in their own space-time since these structures-images completely retain the true real calibration size without deformations imposed by non-stationary bio-systems and reproduce them in adequate sizes require for a developing or an adult organism. In accordance with the reconstructed wave gradients scanned polarized holograms occurs 4D organization of metabolic “fluxes”/“streams”, cellular architectonics and morphogenetic motions during embryo genesis and also partial regeneration of bio-systems in case of them having been damaged. In other word what occurs is calibration of dynamic potential space-time of bio-system. Under polarized-holographic-bio-control we imply endogenous or intentional (artificial) modification of recipient’s cell structure and condition as a result of controlling holographic operations from donor’s side. In our case the holographic signal, which was modulated by healthy samples (tissues, cells) of the donor, is transmitted and recorder onto donor’s diseased (ill) cells in form of a hologram. Further, the process of control occurs as follows: in the beginning from the modified cells of the recipient by means of regenerative wave the holographic image of donor’s healthy cells is scanned. It is reconstructed in terahertz wave diapason as a 3D image encompassing every recipient’s cell together with its content. According to gradients of intensity of donor’s reconstructed cell images, as if it was a “drawing”, growth and regeneration of recipient’s damaged (ill) cells occur. The cells of the recipient “assume” a role of a photographic film (plate), in which a hologram of the healthy cells is recorded. Processes of the growth and regeneration, flowing analogically to processes of photo-tropism, require certain length of time. In the upshot the recipient’s “sick” cells partially transfer to healthy ranking and partially destroyed. Products of such decomposition are diverted out of the recipient’s organism. That being so, during the replacement process of recipient’s cells by healthy ones, analogous to those of donor’s, occurs polarized-holographic-control which is in effect germination of the recipient’s damaged cells biomass in to offered to them dynamic holographic form of healthy donor’s cells. As a consequence, while controlling the process, the form and dynamic state (condition) of recipient’s cells is gradually modified under the controlling signal – “pattern”, obtained from the donor. Needless to say that this form of “pattern” is much more complex than those seen in simple controlling systems. It sets spatial distributions terahertz signal on gradients of which the growth and formation of live cells in recipients occur. Therefore acts of growth and formation of recipient’s cells happen in line with bio-chemical laws, which control their vital functions, and the “pattern” signal sets a program or guide of growth for young cells’ structures and modulation of processes in them. Transmission of modulated information from donor to recipient occurs by means of rectilinearly propagating longitudinal mutually entwined waves, carrying multilevel modulated information. For the short distance transmissions we can use a term of cellular nucleuses – optical poliaroids (polarizers? ), where as for longer distances – a term of quasi lenses (objectives) (here is a reference to some previous papers). Let’s look in to description of such process proffered for purposes of registering color holograms without using lasers [Alexanderov, 1998]. When adapting it to a bio-system, we outline requisite conditions for realizing non-coherent polarized-holographic method of control (management). It ought to be noted that in such systems, having done microscopic studies of the systems, it was discovered long ago that they have microscopic polarisers, i.e. cells’ nucleuses, as well as optically active protein substances, which spin the polarizational plane of emissions that are passed through them. These aspects are long knowng to researchers [Bischof, 1995], however until now this observed phenomenon was neither explained not utilized. Holographic transmission function can be defined on the basis of Fourier transformation of equation (13). To remind, the wavelength of the probing signal is not included in this formula therefore that wave can be selected from wide range of waves light, electromagnetic and acoustic diapason. The created hologram encompasses whole information about spatial coordinates features of donor’s bio-object being holographed, or about spatial distribution of all donor’s points in relation to holograph registering planes of recipient. So the resulting solution of the task is, generally speaking, analogical to traditional approach. At the same time the method put forward is fundamentally different from other known interferential methods and possesses certain advantages. Secondly, this method allows uncovering the reasons of vibro-resistance when registering and reconstructing holograms without laser sources of light inside bio-systems in terahertz diapason of waves. It efficacy is determined by the value of polarized-optical spinning ability and thickness of the optically active environment . It is known that spinning ability of certain liquid crystals reaches 40000 degrees/mm, which when used in holographic information-laser convertor is sufficient for polarized-holographic transmission of information and accordingly holographic controlling of the biosystem’s structures and processes. In the last years these works have received the deserved advancements in the Institute of management issues. In particular, utilization of polarized-dynamic holography, which allows formation of little movable polarizational rings. For urposed of transmitting undistorted image of every donor’s point to the remote recipient’s zone, a sensory quasi objective (lenses) were created, and on its basis a holographic device designated for experimental testing of holographic controlling possibilities. A Nobel prizewinner is reporting that DNA can be generated from its teleported "quantum imprint"
A STORM of skepticism has greeted experimental results emerging from the lab of a Nobel laureate which, if confirmed, would shake the foundations of several fields of science. "If the results are correct," says theoretical chemist Jeff Reimers of the University of Sydney, Australia, "these would be the most significant experiments performed in the past 90 years, demanding re-evaluation of the whole conceptual framework of modern chemistry." Luc Montagnier, who shared the Nobel prize for medicine in 2008 for his part in establishing that HIV causes AIDS, says he has evidence that DNA can send spooky electromagnetic imprints of itself into distant cells and fluids. If that wasn't heretical enough, he also suggests that enzymes can mistake the ghostly imprints for real DNA, and faithfully copy them to produce the real thing. In effect this would amount to a kind of quantum teleportation ("Teleportation, But not as We Know it") of the DNA. Many researchers contacted for comment by New Scientist reacted with disbelief. Gary Schuster, who studies DNA conductance effects at Georgia Institute of Technology in Atlanta, compared it to "pathological science". Jacqueline Barton, who does similar work at the California Institute of Technology in Pasadena, was equally skeptical. "There aren't a lot of data given, and I don't buy the explanation," she says. One blogger has suggested Montagnier should be awarded an IgNobel prize. Yet the results can't be dismissed out of hand. "The experimental methods used appear comprehensive," says Reimers. So what have Montagnier and his team actually found? Full details of the experiments are not yet available, but the basic set-up is as follows. Two adjacent but physically separate test tubes were placed within a copper coil and subjected to a very weak extremely low frequency electromagnetic field of 7 hertz. The apparatus was isolated from Earth's natural magnetic field to stop it interfering with the experiment. One tube contained a fragment of DNA around 100 bases long; the second tube contained pure water. After 16 to 18 hours, both samples were independently subjected to the polymerase chain reaction (PCR), a method routinely used to amplify traces of DNA by using enzymes to make many copies of the original material. The gene fragment was apparently recovered from both tubes, even though one should have contained just water (see below diagram). DNA was only recovered if the original solution of DNA - whose concentration has not been revealed - had been subjected to several dilution cycles before being placed in the magnetic field. In each cycle it was diluted 10-fold, and "ghost" DNA was only recovered after between seven and 12 dilutions of the original. It was not found at the ultra-high dilutions used in homeopathy. Physicists in Montagnier's team suggest that DNA emits low-frequency electromagnetic waves which imprint the structure of the molecule onto the water. This structure, they claim, is preserved and amplified through quantum coherence effects, and because it mimics the shape of the original DNA, the enzymes in the PCR process mistake it for DNA itself, and somehow use it as a template to make DNA matching that which "sent" the signal (DNA Waves and Water). "The biological experiments do seem intriguing, and I wouldn't dismiss them," says Greg Scholes of the University of Toronto in Canada, who last year demonstrated that quantum effects occur in plants. "It is hard to understand how the information can be stored within water over a timescale longer than picoseconds." "The structure would be destroyed instantly," agrees Felix Franks, a retired academic chemist in London who has studied water for many years. Franks was involved as a peer reviewer in the debunking of a controversial study in 1988 which claimed that water had a memory (see far below "How 'ghost molecules' were exorcised"). "Water has no 'memory'," he says now. "You can't make an imprint in it and recover it later." Despite the skepticism over Montagnier's explanation, the consensus was that the results deserve to be investigated further. Montagnier's colleague, theoretical physicist Giuseppe Vitiello of the University of Salerno in Italy, is confident that the result is reliable. "I would exclude that it's contamination," he says. "It's very important that other groups repeat it." In a paper last year (Interdisciplinary Sciences: Computational Life Sciences, DOI: 10.1007/s12539-009-0036-7), Montagnier described how he discovered the apparent ability of DNA fragments and entire bacteria both to produce weak electromagnetic fields and to "regenerate" themselves in previously uninfected cells. Montagnier strained a solution of the bacterium Mycoplasma pirum through a filter with pores small enough to prevent the bacteria penetrating. The filtered water emitted the same frequency of electromagnetic signal as the bacteria themselves. He says he has evidence that many species of bacteria and many viruses give out the electromagnetic signals, as do some diseased human cells. Montagnier says that the full details of his latest experiments will not be disclosed until the paper is accepted for publication. "Surely you are aware that investigators do not reveal the detailed content of their experimental work before its first appearance in peer-reviewed journals," he says. The latest findings by Luc Montagnier evoke long-discredited work by the French researcher Jacques Benveniste. In a paper in Nature (vol 333, p 816) in 1988 he claimed to show that water had a "memory", and that the activity of human antibodies was retained in solutions so dilute that they couldn't possibly contain any antibody molecules (New Scientist, 14 July 1988, p 39). Faced with widespread skepticism over the paper, including from the chemist Felix Franks who had advised against publication, Nature recruited magician James Randi and chemist and "fraudbuster" Walter Stewart of the US National Institutes of Health in Bethesda, Maryland, to investigate Benveniste's methods. They found his result to be "a delusion", based on a flawed design. In 1991, Benveniste repeated his experiment under double-blind conditions, but not to the satisfaction of referees at Nature and Science. Two years later came the final indignity when he was suspended for damaging the image of his institute. He died in October 2004. That's not to say that quantum effects must be absent from biological systems. Quantum effects have been proposed in both plants and birds. Montagnier and his colleagues are hoping that their paper won't suffer the same fate as Benveniste's. We know today that life in the universe is a process which is always swimming against the river. Physics predicts that everything in nature is going towards a condition of a thermal equilibrium. With every energy consuming process always also warmth is produced, which cannot be completely reconverted into work energy. This is well-known to each power station operator. The universe favors disorder and decay rather than order and structure. In such an environment an organism can temporarily exist only because it constantly supplies new order structures to its body using energy , briefly said: by taking up food regularly. For this the plants found the simplest and most direct way. With help of their leaf pigment chlorophyll they developed a procedure, in order to produce sugar from carbon dioxide of air and water using light. Plants thus predominantly nourish themselves from light. They take up energy and order condition from light particles (photons), which they integrate into their organism, thus robbing them their freedom of movement and building up own order conditions of their bodies again and again. The animals and humans however have a metabolism which is based not on chlorophyll, but on haemoglobin, the red blood coloring material. They therefore cannot convert light to food by photosynthesis, but have to nourish themselves eating plants or other animals. They are thus rather parasites of the plant world, which also could exist without us - we however not without them. We should always keep this in mind, when we clear further forests from pure profit thinking. Light nevertheless plays a crucial role for animal and human life too. Not only, because we become depressive if we do not expose our body with sufficient light (especially in winter). German bio physicist Fritz Albert Popp investigates for years the phenomenon of biophotons, a natural light radiation, which is emitted from each living organism. This bio photon radiation is very weak and may be made visible only by substantial reinforcement in the darkroom. Popp and its coworkers made the amazing observation that the radiant emittance was always stronger at the beginning, briefly after they brought a tissue probe into the darkroom, and then slowly decreased to a stable value, the normal bio photon radiation. That means, that our body cannot only emit light, but also may take up light from the environment, which is naturally in the darkroom no longer possible, whereby it comes to the observed decrease. Thus something inside our body may store light energy, which is a proof that we nourish ourselves to a small percentage directly of light too, independently of the food which we eat. It turned out soon that the looked for light memory of our body is nothing else than the DNA. It is well known that the DNA is also most deeply involved into the bio photon radiation. From the characteristic form of this giant molecule - a wound double helix - the DNA represents an ideal electromagnetic antenna. On one hand it is elongated and thus a blade antenna, which can take up very well electrical pulses. On the other hand, seen from above it has form of a ring and thus is a very good magnetical antenna. What happens to the electromagnetic energy, which the DNA takes up? It is stored quite easily inside it, bringing the molecule – simplified spoken – into oscillation. Physically we call such a system a harmonic oscillator . Such an oscillator of course with the time loses its energy, as is observable also in the darkroom, and the time, which this procedure needs, is a measure for the ability of energy storage. Physicists call this measure resonator quality . It turned out that the quality of the DNA resonator is by a multiple higher as in oscillators, which physicists are able to construct in their laboratories from technical devices. That means, the oscillation losses are unbelievably small. This confirms a long-preserved assumption: The DNA is an organic superconductor, which can still work in addition at normal body temperature! In this field science may learn still infinitely much from nature. For example the ability of superconductors to store light was just discovered in recent time. That sounds perhaps surprising, but you should keep yourself clear before eyes the fact that light, although well known to all of us is not anything actually seizable. Light is pure electromagnetic energy, divided into small quanta, so-called photons, which – like the name already says – constantly move with speed of light. We may destroy photons by certain particle reactions, i.e. transfer their energy completely to other subjects. To "close up" a photon however, no one was able to do so far. At the Rowland research institute in Cambridge, USA, now the Harvard physicist Lene Vestergaard Hau found out that laser light can be braked when crossing sodium atoms with nearly -270 degrees up to a speed of approximately 60 kilometers per hour. Basic condition for this brake effect is that the medium must change into a very exotic state of aggregation, a so-called Bose Einstein condensate, which likewise includes the ability for superconduction too. Already for a long time we know that the constant of speed of light, which represents a border in the universe according to Einstein for all subjects, applies only to the vacuum. During the passage of matter, approximately of water or glass, the speed of light is already lower. The disadvantage is that also the light itself is absorbed at the same time by the surrounding medium. From the water we know it that it becomes darker with increasing depth. Not so with superconductors. Although the sodium atoms braked the light much more strongly than each conventional material, they remained transparent. No losses arose. Such possibilities can become very interesting in the future, if one wants to store not only the energy of the light (as is the case for instance with the solar collector), but the light as a whole with all its characteristics e.g. the ability to be a storage medium. Superconducting computer chips will be thus capable to store light and to use it thereby for data storage. Nature invented that everything, as we see, already billions of years ago. We humans carry thus in each cell of our body a technical high speed equipment: a microchip with 3 Gigabits storage capability, which takes up electromagnetic information from the environment, stores it and - possibly in changed form - also is able to emit. The technical data of the DNA as oscillator antenna are quickly determined. We know that the molecule would be - stretched out - about two meters long. Thus it has a natural frequency of 150 megahertz. Again a remarkable number, because this frequency is exactly in the range our human radar -, for telecommunications and microwave engineering. We use exactly the same frequency range for communication and detection purposes. A coincidence? In addition the DNA may obviously store all harmonic waves of 150 megahertz too, thus of course also visible light. The 22th octave of 150 megahertz lies straight in this range. The color of this light radiation is by the way blue. Is it a coincidence that the solar radiation is broken by the terrestrial atmosphere just in such a way that we live in a world with blue sky? So, does the DNA only take up the light energy, or stores and/or again emits information contained in the electromagnetic oscillation of the light by its radiant emittance? Is the DNA a further communication organ of our body, and may it perhaps even be manipulated by electromagnetic radiation? This is actual the case. Independent of the biochemical function as a protein producer the DNA is a complicated electronic biological chip that communicates with its environment, as latest research from Russia found out. In the year 1990 a group of scientists got together in Moscow, for whom the study of the human Genoms was too much reduced exclusively to biochemistry. They had recognized that by this viewpoint, which is based rather on orthodox dogmatism than on objective scientific realizations a lot of information remains hidden to us. Highly-qualified scientists belong to this group, to a large extent from the Russian Academy of Sciences. Beside physicists of the renowned Lebedev Institute also molecular biologists participate, bio physicists, geneticists, embryologists and linguists. Director of the project is Dr. Pjotr Garjajev, a bio physicist and molecular biologist. He is member of the Russian Academy of Sciences as well as of the Academy of Sciences in New York. In the eight years since establishment of the project the Muscovite group came to revolutionary realizations, which let our understanding of the DNA and the human genetics appear in a completely new light. For example we speak today nearly naturally of the »genetic code«, thus of a systematic information coding. But the past genetics stopped here and settled the remainder of the work exclusive with the help of chemistry, instead of consulting also language experts. Differently in Moscow. Here, as already mentioned, the genetic code was submitted an exact investigation by linguists too. Linguistics is the science of the structure of languages. It investigates thereby not only the natural languages, which developed in the individual countries and cultures, but also artificial languages, which are used for example for programming computers and which were developed in the past decades systematically using linguistic realizations. One examines semantics (theory of the meaning of the words) and language regularities like the syntax (rules for the setting up of words from letters), as well as the bases of the grammar. If one uses these scientific realizations on the genetic code, then one recognizes that this code follows the same rules as our human languages. Mind you: not the rules of a certain language (in this case e.g. the Russian one), but on such a fundamental level, where all existing languages of mankind have comparable structures. So it is possible to set the structure of the genetic code in relationship with each existing language of mankind. For centuries scientists looked for the human original language - Pjotr Garjajev and his coworkers possibly found it. We must turn around the relations: the structure of the DNA does not correspond to the human language structure, but the human languages follow the genetic code in their structure the rules! DNA and genetic code existed already for a long time, before first humans spoke an articulated word for the first time! Every human languages developed since that time followed the basic pattern, already existing in the structure of the genetic code. You should not misunderstand this realization: It does not concern here an orthodox materialistic conception of the world, according to which the ability for speaking would be only a secondary effect of proteins, which are put on in some genes. The arrangement of the elementary bases in the DNA follows a grammar, an immaterial plan, which is similar to the structure of our languages. The analogy between the structure of the DNA and the human language is most pronounced just in the parts of the giant molecule, which are not used for protein synthesis! For a long time one knows that only about 10 per cent of the DNA molecule are used for setting up genes. The remaining 90 per cent have a function unknown to classical science and were designated so far as »silent DNA«. Garjajev’s realization thus is a revolution for the entire area of genetics. Examining only the well-known genes calling the remainder »silent DNA«, you will miss the most important facts! It is paradoxical: just the »silent DNA« - figurative spoken - speaks a language! In various experiments the Muscovites group could prove that these extensive codes in the DNA are not used by any means for the synthesis of a so far unknown quantity of components of our body, as it is the case with the genes. This code is rather actually used for communication, more exactly - for hypercommunication. Hypercommunication is a data exchange on DNA level using genetic code. Since this code possesses a structure, which is the basis of all human languages, also higher information may be transported, which is able to come up to human consciousness and to be interpreted there. Garjajev and its colleague continued still another step. They analyzed the vibration response of the DNA and found out that it follows quite complicated laws, which are however well known in the physics for a long time. Those are the laws of nonlinear waveform-shaping, known since center of 19 century as so-called Soliton waves. They are known from observations, but so complicated that they may be calculated only with modern computers. Soliton waves are temporally extraordinarily stable and may store information in this way for a long time. Summarizing all these realizations, one comes to a perfectly new form of the genetic engineering, possibly even to a new gene therapy. This sounds like science of the 21st century and probably is. But don’t forget: Garjajevs statements are founded scientifically in theory and experiment. The consequences of these realizations are as incomprehensible as simple and logical: If one modulates a laser beam by a frequency sample, then one may affect with this the information of the DNA waves and so the genetic information itself. For this one does not even need to decode the language of the pairs of bases in laborious work, in order to formulate from it artificially genetic information, but one can use quite easily words and sentences of the human language! The bases of the language structures are, as we in now know, the same. Also this astonishing conclusion the Muscovites group of researchers could prove already experimentally. DNA substance in vivo (i.e. in the living fabric, not in the test tube) reacts to language-modulated laser light, even to radio waves, if one keeps the correct resonant frequencies. In this way unknown possibilities are opened to the medicine. One may design devices, with which through suitably modulated radio or light radiation cell metabolism may be affected, even the repair of genetic defects is possible, without all the risks and side effects of the classical-biochemical proceeding. Garjajevs group of researchers could already prove that with this method chromosomes may be repaired, which were damaged e.g. by x-rays. The effects on medical therapy possibilities of the coming century are immense: one can develop devices for new, subtle cancer therapy, also for the treatment of aids and for the slowing down of the aging process. Already today devices are in use also in German university clinics, with whose assistance cancer patients are exposed to frequency-modulated magnetic field irradiation. The results are promising. We see here that the objectives of the Muscovites researchers deviate from those of the western human Genome Project in principle. While in the western science the trend is to develop new chemical medicines from as much as possible items of information from the genes - a procedure, which is however not free from substantial risks, a potential giant business -, the Russian scientists have a rather holistic understanding of the DNA leading to the development of therapy devices, which may replace some expensive and dangerous medicine in the long term. Quite beside from the new wave theory of the genetic code still some further interesting facts follow. For example one knows for a long time that almost any bodily function, particularly also in the metabolism and in the hormone production, can be affected by suggestive strength of the spoken word, although they run perfectly autonomously, thus under elimination of the conscious will, whereupon the impact of the medical hypnosis is based. These facts are well-known, however could not be explained so far scientifically. The medical model of the psycho neuro immunology led back the effect of hypnotic suggestions so far exclusively to control mechanisms in the brain, particularly in the regions, which are assumed to contain subconscious layers. Now it looks that it is much simpler: the DNA is able to react directly to the spoken word. Also different therapy procedures, whose impact was inexplicable so far, as for instance the Chinese acupuncture, may be explained with help of the DNA wave theory in Garjajev’s opinion scientifically. Light actually represents an important factor in the power supply of our hereditary molecule, the DNA. It provides healthy functioning of all procedures in our cells. However it cannot form a complete replacement for material food alone. The information, which will transfer via the light, is much more important. The DNA communicates in this way - perhaps with other organisms or with a superordinate plan - which a morphogenetic field, which could be proven by the research in Russia for the first time scientifically. In this way the genetic information of each cell can employ comparisons of their actual condition with a specified condition each time and arrange possibly necessary repairs. This can prevent or at least stop diseases such as cancer or aids, in addition, slow down the age process. The modern wave genetics is one of the key technologies for the coming millennium, and we can be strained, what science will discover in this area in the very near future.